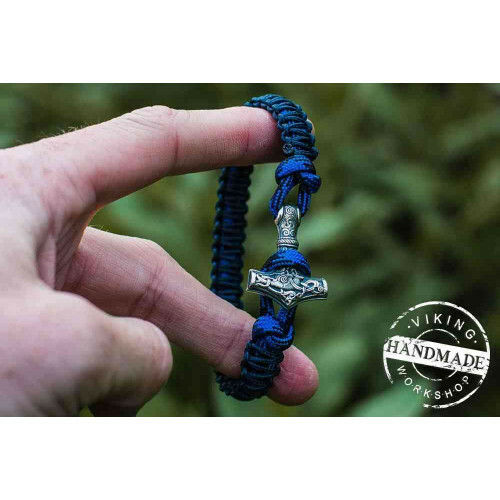 This is an amazing modern interpretation of an ancient Viking piece of jewelry. 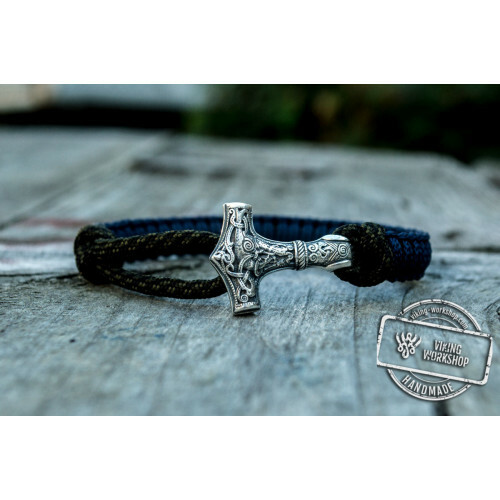 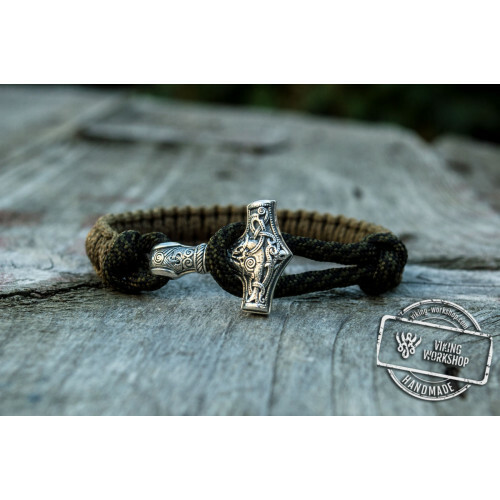 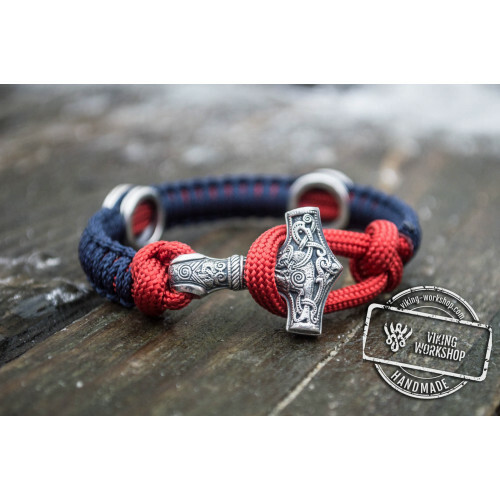 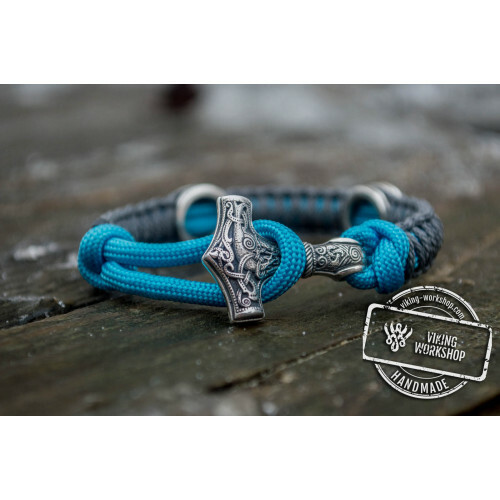 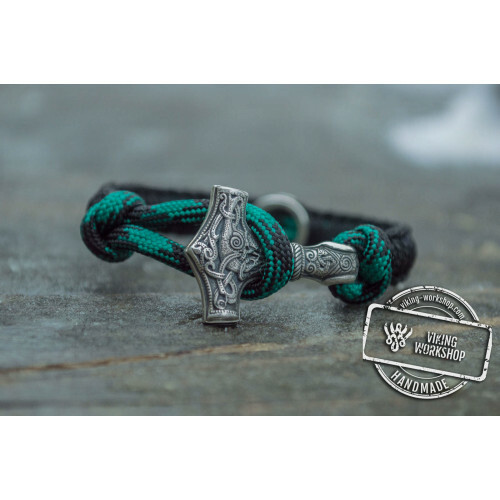 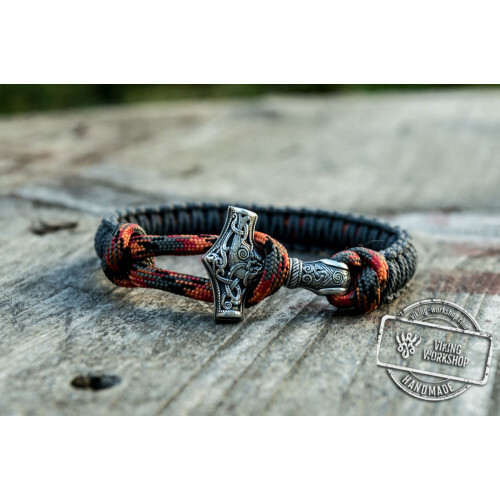 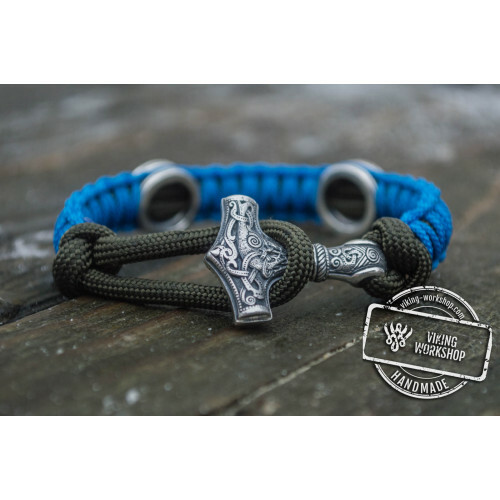 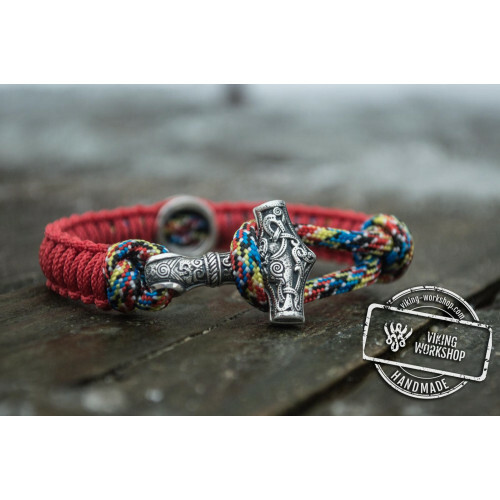 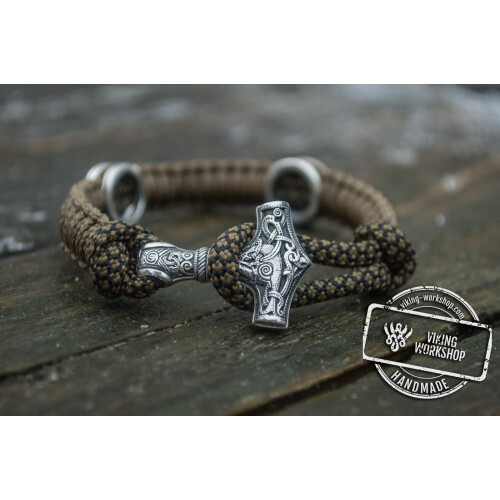 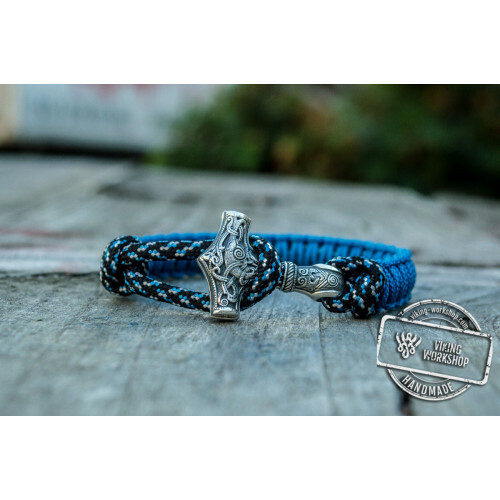 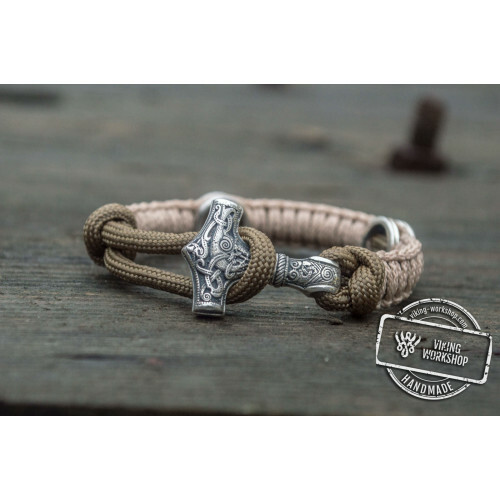 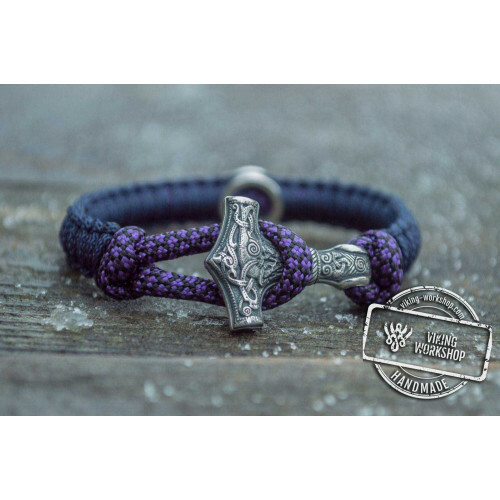 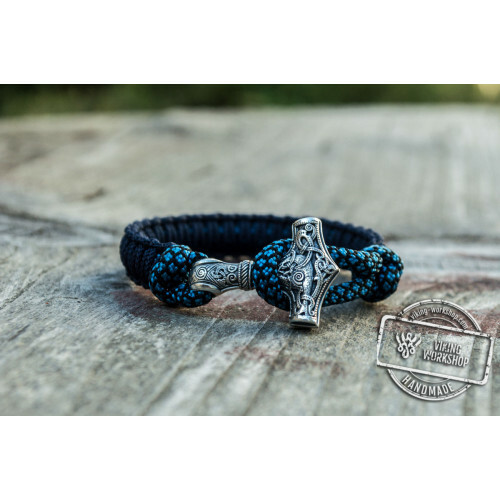 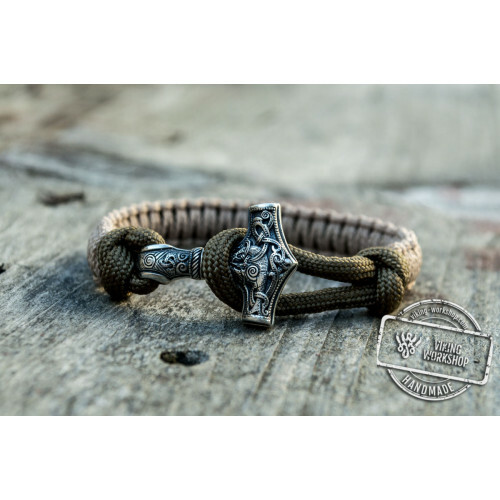 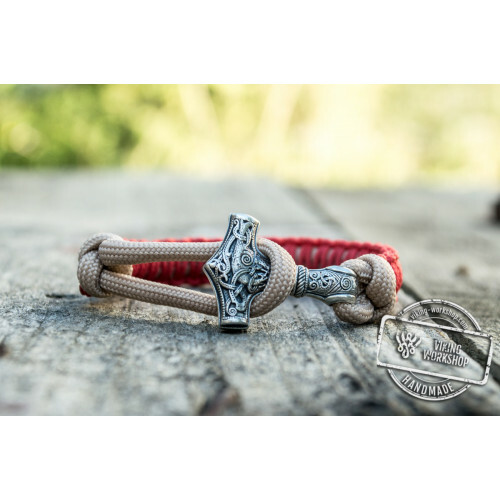 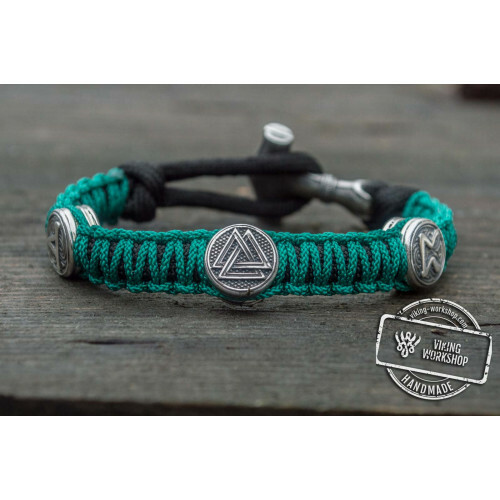 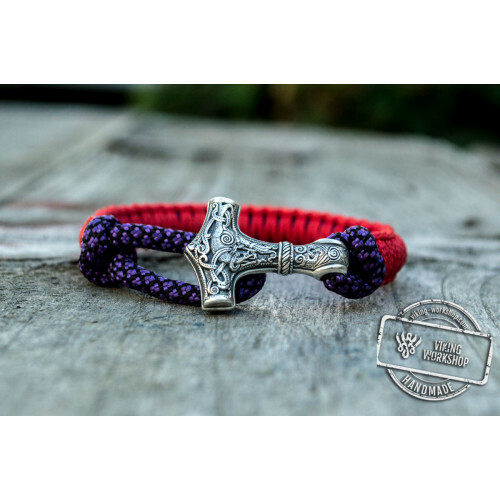 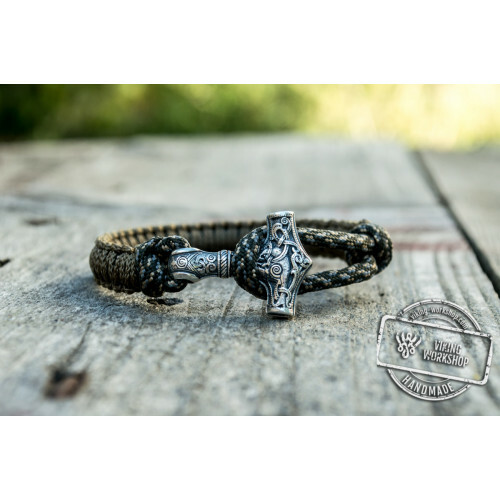 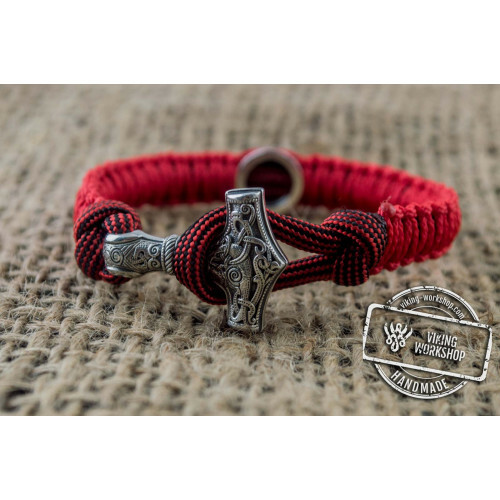 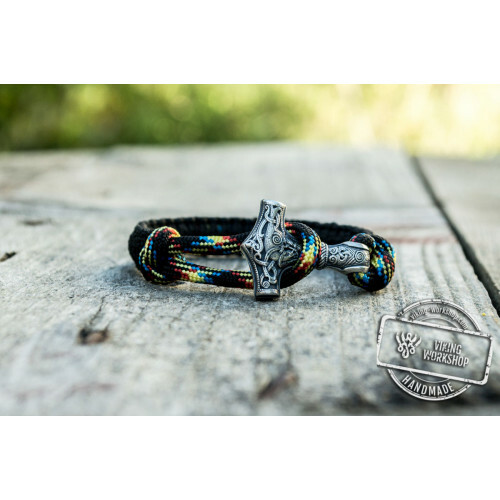 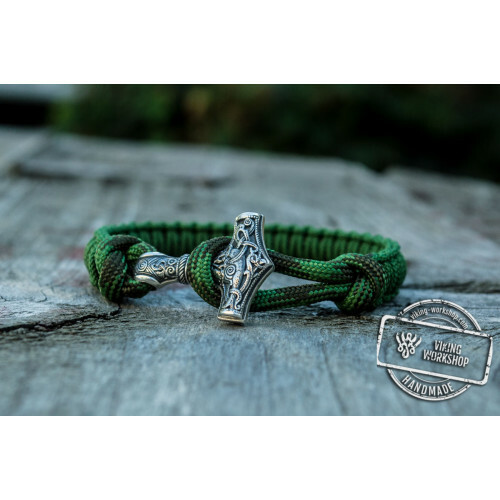 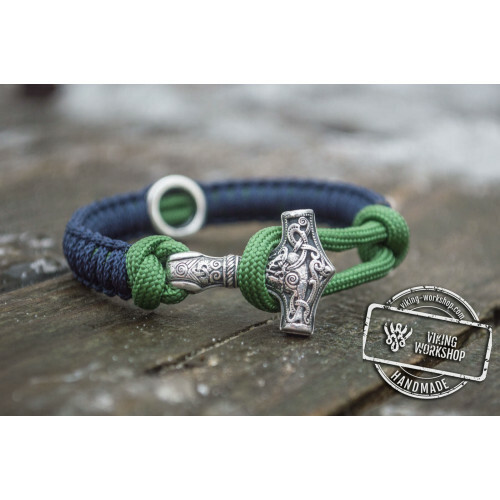 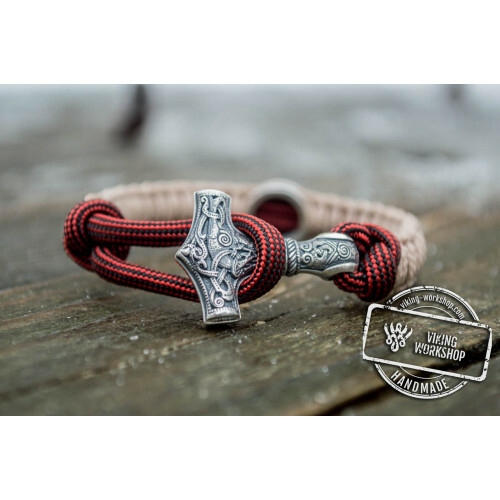 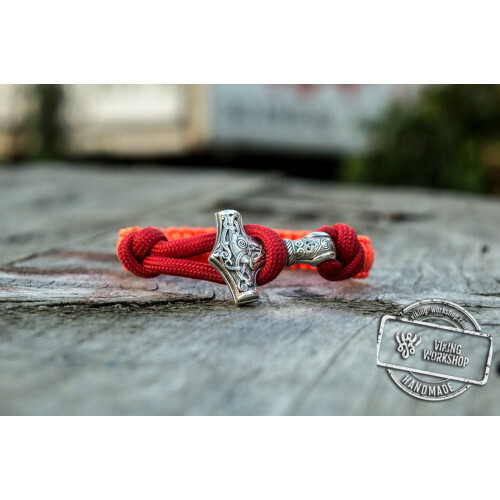 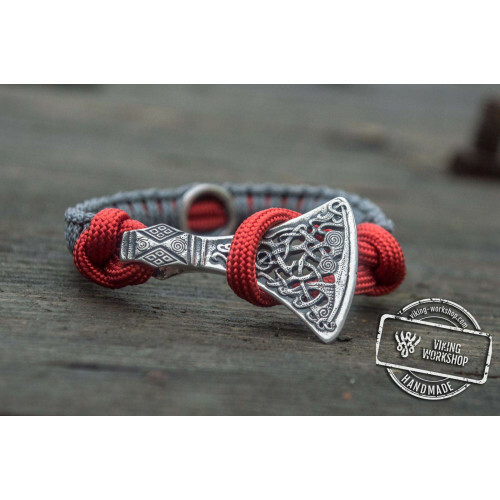 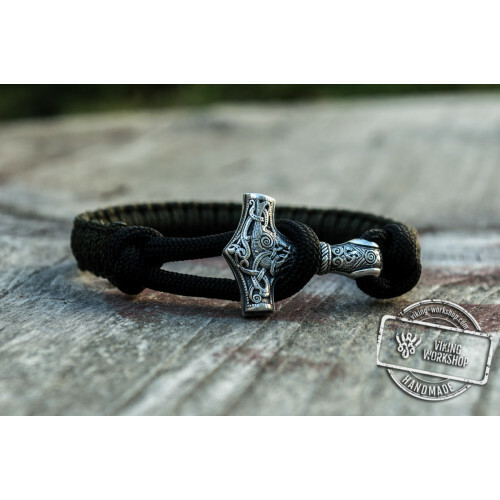 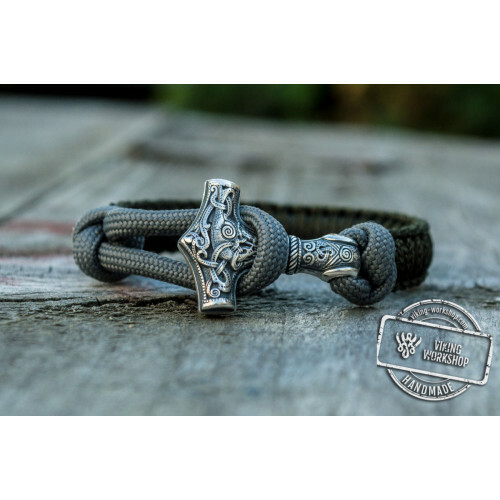 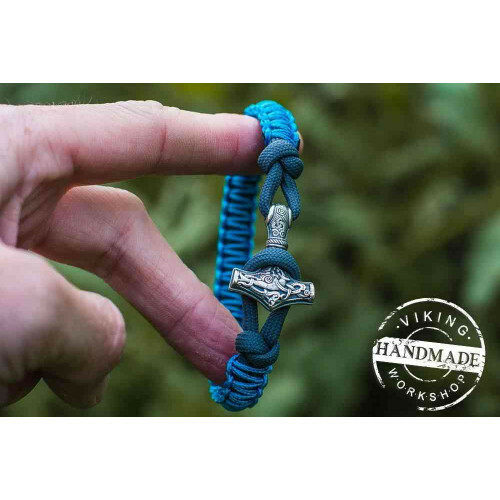 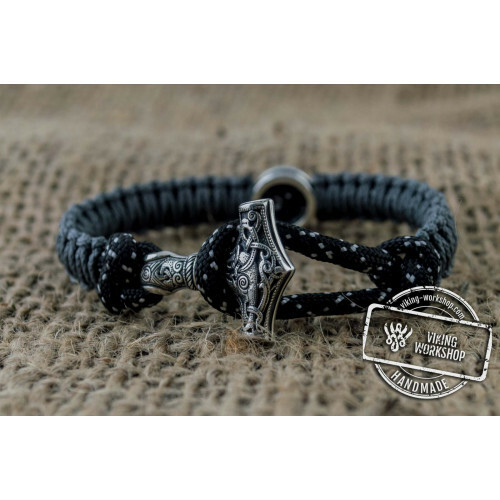 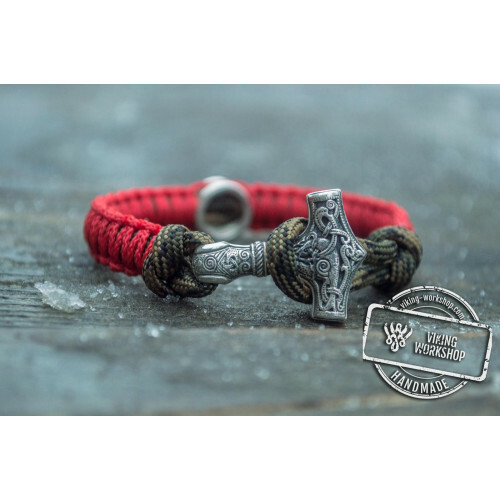 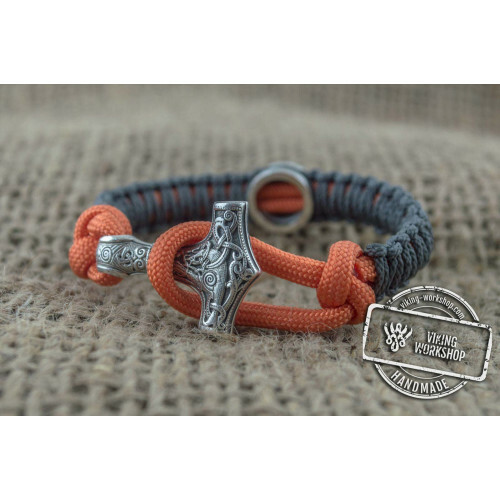 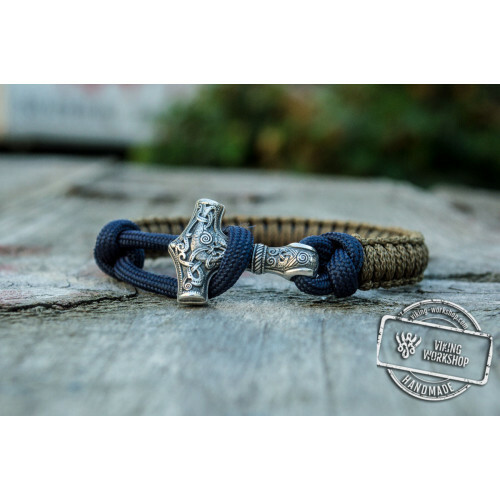 The bracelet features the most powerful protection – a weapon of Thor. 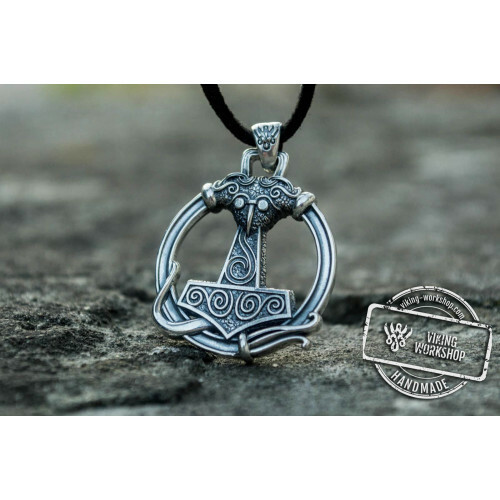 The hammer is ornamented with various symbols increasing its protective properties. 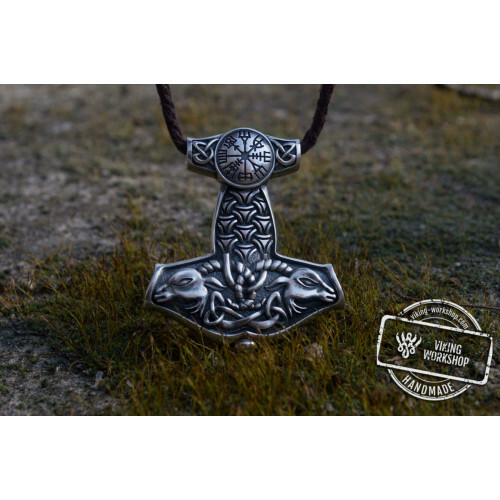 The Hammer features an all destroying power to defeat enemies strong as rocks and powerful as fire. 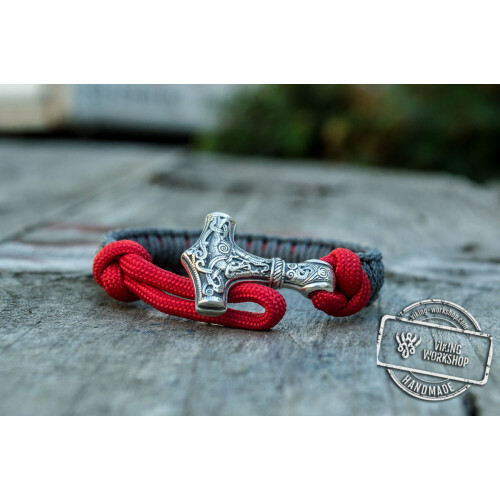 The hammer features an ultimate faith to its owner being always back. 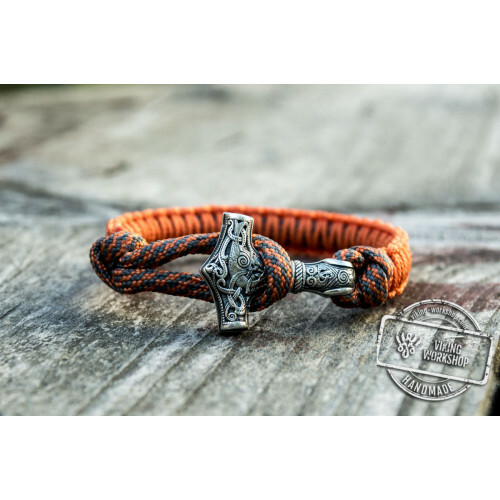 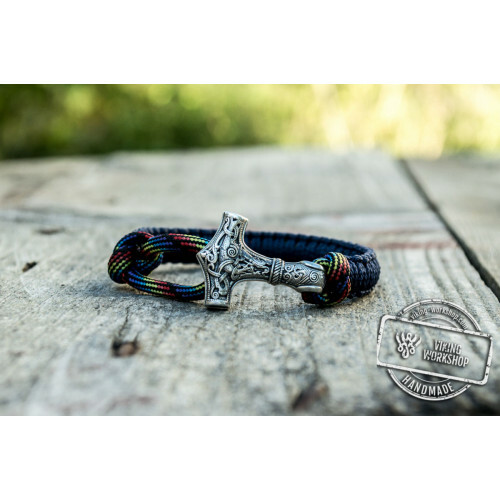 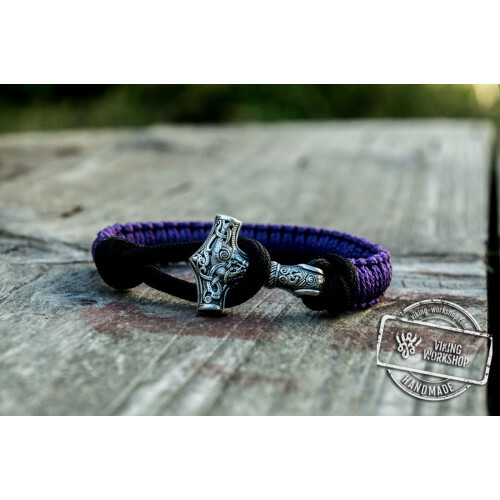 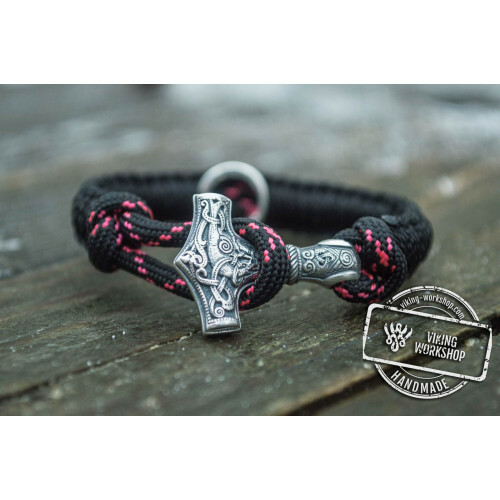 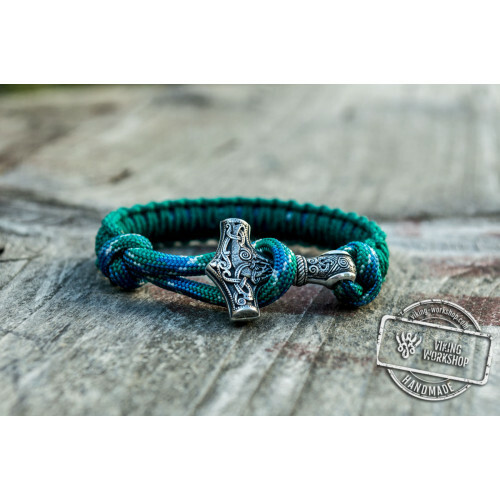 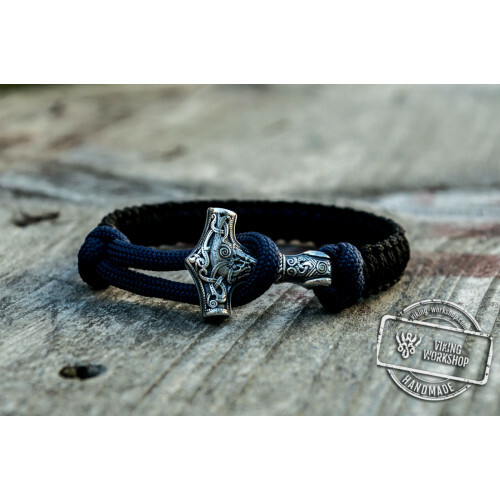 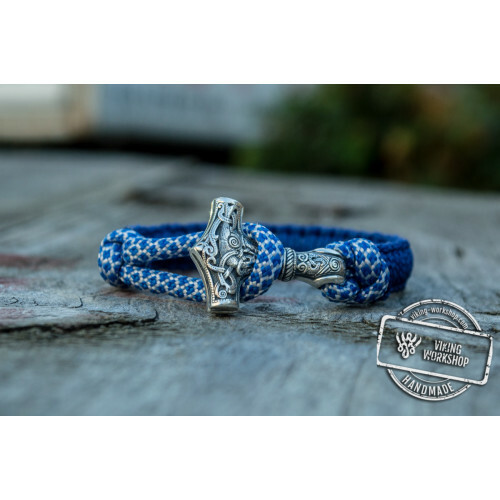 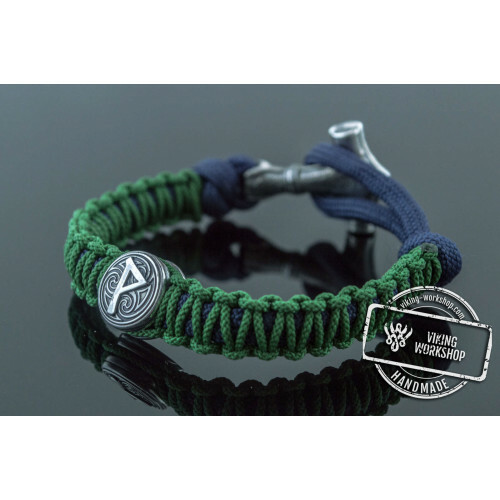 The pendant is securely kept on high quality durable paracord combining two colors. 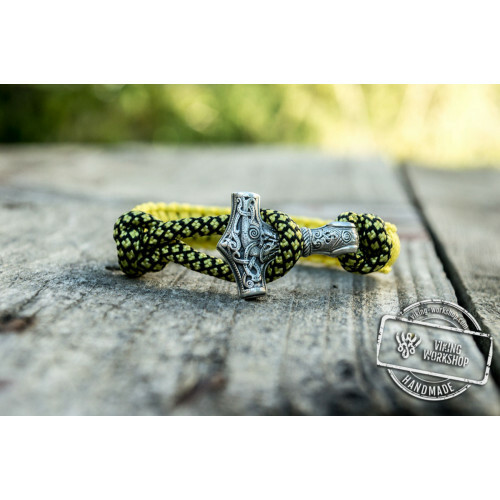 Yellow is a worshiped color of the sun representing its energy, power and vitality. 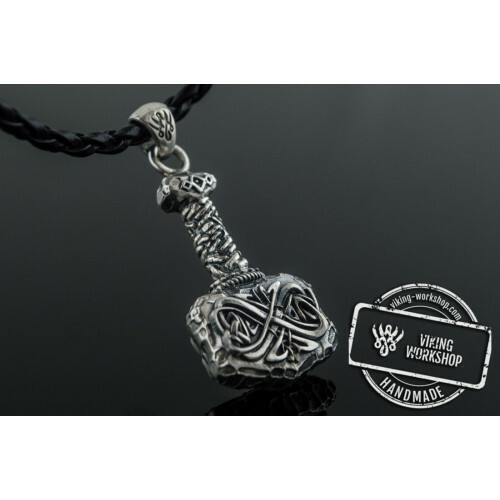 It gives protection and wisdom. 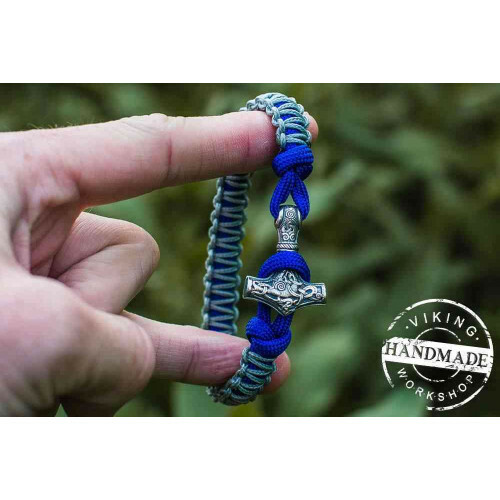 Blue color means freedom, inspiration and sensitivity. 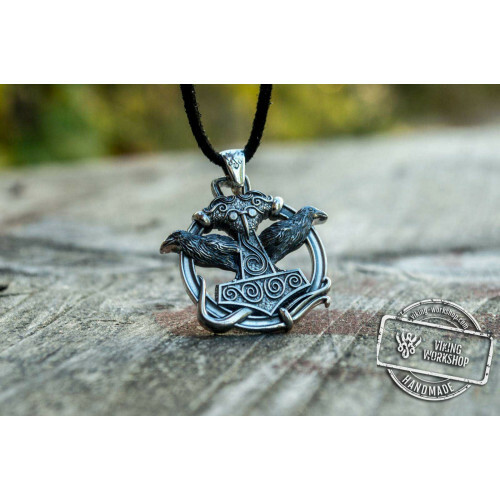 The pendant is covered with silver.